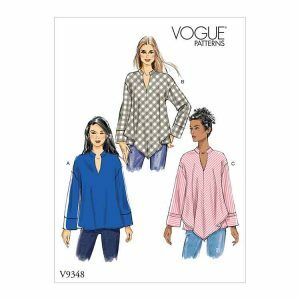 Sewing patterns from Vogue. Patterns for men, women, children, toddlers and babies. V8948 Fitted, lined dress has neckline variations, princess seams, and invisible back zipper. 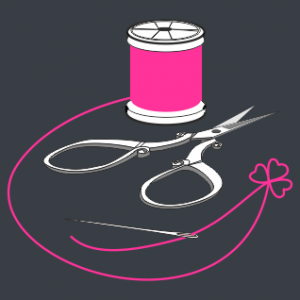 C and F: front extends into cap sleeves. B and E: pleated sleeve cap. D,E and F: flounce. A, B: Silk/Rayon Velvet. Contrasts A, B: Charmeuse. C, D: Printed Cut Velvet. V9353 Men's jacket. Loose-fitting lined jacket features contrast collar and bands, welt pockets with flap, quilting detail, and front separating zipper closure. V9352 Very loose-fitting, unlined button-front coat features collar and front variations, side seam pockets and asymmetrical hem. Wrong side of fabric will show. Fabrics: Linen, Denim, Light Weight Tweed, Taffeta, Rainwear Brocade. V9351 Misses' Jacket, Top, Dress, Pants and Jumpsuit. 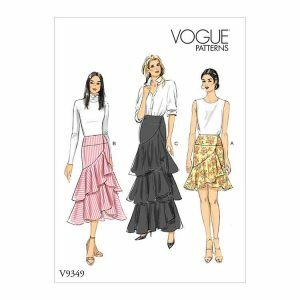 Vogue Wardrobe pattern. 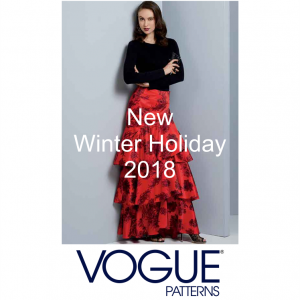 V9350 Very Easy Vogue top, dress and pants. For two-way stretch fabrics only. V9349 Fitted, lined wrap skirt with yoke, back darts and hook and bar closure features lined flounces and length variations. V9348 Pullover top with stand-up collar and neck facings features sleeve bands cut on the cross grain and bias overlay option. 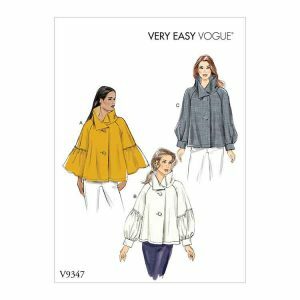 V9347 Very Easy Vogue top. Button-front swing tops have raglan sleeves with variations.